The game is afoot on the ABC, and there are some hands involved, too. Some of the best shows on the national broadcaster this year, which use sporting endeavour as a gateway, provide entertaining and authentic depictions of children and teenagers. The likes of Mustangs F.C. and the forthcoming Hardball are richly enjoyable tales of growing up, whether amusingly arch for primary school graduates or stacked with twists and solidarity for teenage girls. 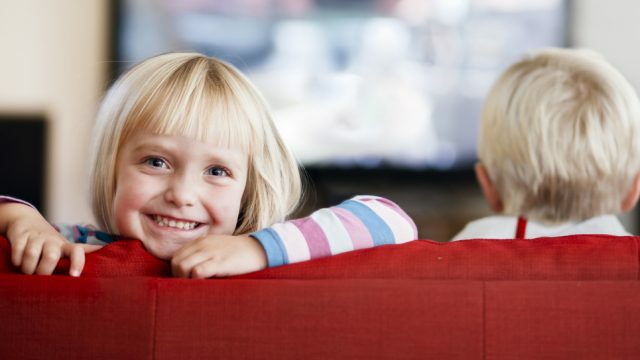 It’s a welcome respite, because if it wasn’t for ABC ME, a channel and digital platform dedicated to providing new shows – and some tangy digital-only extras – to Australian children, there would be a dearth of choice for the next generation of viewers. The commercial networks have essentially given up on children’s programming, with Seven and Nine screening news between 4pm and 5pm, while the digital channels that do recognise kids are basically importing supernatural adventures, such as the ubiquitous Ben 10, that are heavy on merchandise lore and light on relatable storytelling. Hardball has a jump-started narrative more enjoyably brisk than most adult comedies. Watching Hardball, which commences Monday, April 22, on ABC ME, there’s a jump-started narrative more enjoyably brisk than most adult comedies; the show doesn’t dilute what works for an adult audience, instead it finds a tempo and tone that zips along for a tween crowd. 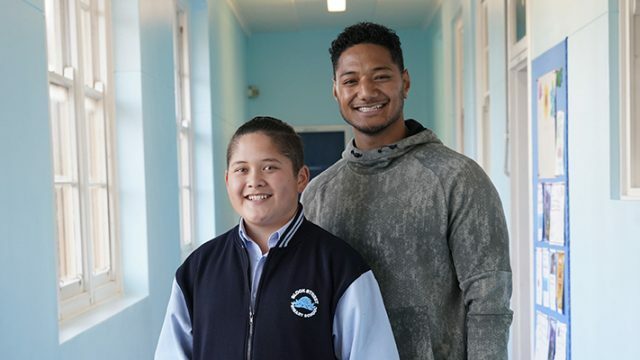 If you’ve ever had a child condense a mass of events into a few moments of explanation, you’ll appreciate how the opening scene succinctly gets 10-year-old Mikey (Semisi Cheekam) and his sportsman father (Daya Sao-Mafiti) from New Zealand to Sydney’s western suburbs. “How long you been my aunty?” Mikey asks their new host, suburban mechanic Auntie (Maria Walker). “How long you been alive?” she coolly replies. The show is full of deadpan exchanges between children and adults that suddenly get matter-of-fact when it’s just kids involved, while the direction makes moments of exaggerated wonder out of handball, the schoolyard game (you may have played it as downball) that at Block Street Primary School is a collective obsession complete with certified moves and a players’ hierarchy. 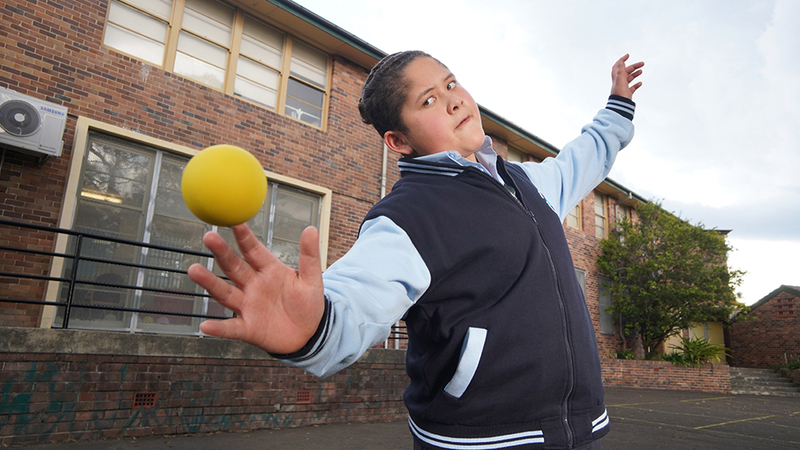 If Mikey, a sweet oversized boy not too worried about anything, including handball, sounds a touch familiar, it may be due to the resemblance he bears to Ricky Baker, the misguided teenage hooligan from Taika Waititi’s 2016 hit New Zealand comedy Hunt for the Wilderpeople. Hardball knows what works with its target audience: Mikey’s new teacher, the martinet Ms Crapper (“the ‘a’ is long,” she stresses), has a touch of Matilda‘s the Trunchbull thanks to Helen Dallimore’s mean and savvy performance. The show’s creators, actors Matt Zeremes and Guy Edmonds, play the slick property developer fathers of Mikey’s intimidating adversary, hard-nosed school handball champion, Tiffany (Erin Choy), and the show’s diversity unfolds without a second thought from the young characters. Mikey’s first new friend Jerry (Logan Reberger) has cerebral palsy, but he’s primarily a guide for the new boy, even finding him a handball coach in Tiffany’s rival, Salwa (Reannah Hamdan). It is, as Mikey says a great deal, “sweet as”. 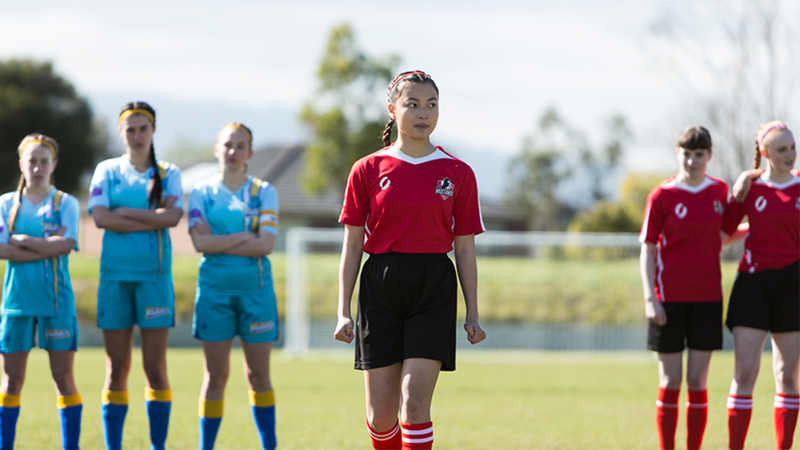 Mustangs F.C., which recently completed its second season, is a terrific show about a teenage girls’ soccer team that manages to make a squad full of distinct personalities richly recognisable as they deal with everything from poor playing form to the demands of puberty. Created by Amanda Higgs and Rachel Davis, with a deliriously over-the-top narration from Celia Pacquola that would make Gossip Girl surrender, it has a contemporary snap: it only sinks in that star striker Ruby (Celine Ajobong) has quit the team when she exits their group chat. 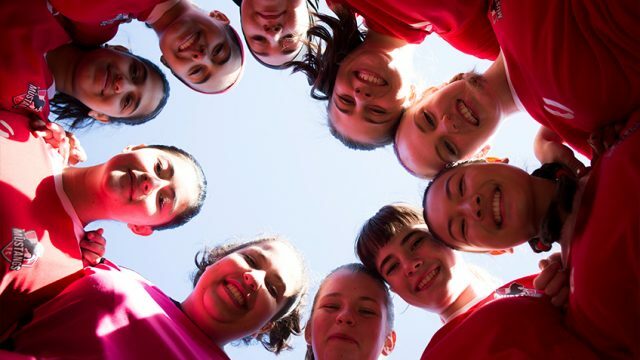 Playing soccer is both another demand and thankful release for these teenage girls, who have to deal with everything from embarrassing parents, on the sideline and at home, to the realisation that “boyoderant” and being dumped are a very real thing. The second season began with a pre-season tournament badly lost, and dealing with various types of adversity is a given. What’s uplifting about Mustangs F.C. is that it isn’t afraid to acknowledge setbacks and persistent barriers. Victories are earned. In one episode, these Matildas fans campaign to get sanitary bins for their club’s facilities, a process that involves dealing with the club’s male hierarchy, and the storyline is typical of how ABC ME’s best Australian shows are connected to contemporary concerns without ever grandstanding. The ABC draws plenty of scorn for its missteps, but shows such as Hardball and Mustangs F.C., and before them the delightful Little Lunch, are proof that when it comes to the kids they’re more than all right. This article first appeared in the Green Guide in The Age and The Guide in The Sydney Morning Herald. Read the original article here. 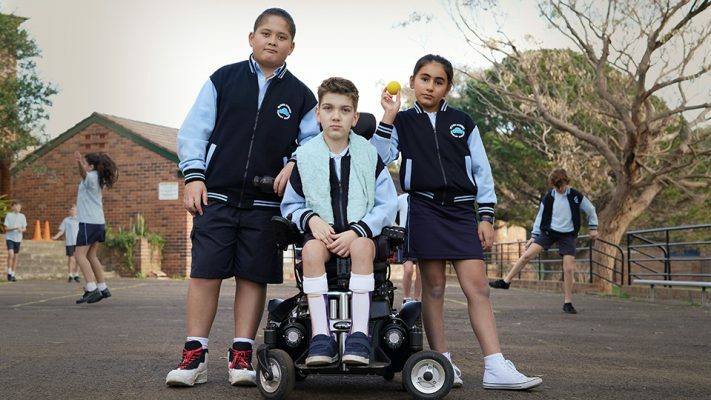 Hardball is a Northern Pictures production, created with support from ABC TV, Screen Australia, Australian Children’s Television Foundation and Create NSW. Producer, Jo Weatherstone. Executive Producers, Catherine Nebauer, Bernadette O’Mahony and Jan Stradling. Distributed by the Australian Children’s Television Foundation. Comments for this post are open.